The ninth edition of Glasgow Film Festival begins on Valentine’s Day and runs until February 24th, the evening of the Academy Awards. Following in the footsteps of the 2012 Gene Kelly retrospective, this year’s Festival celebrates the fine achievements of Hollywood’s favourite tough guy… James Cagney. 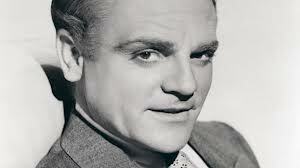 Long before Goodfellas or The Godfather, James Cagney was Hollywood’s ultimate gangster. Born in 1899, he was raised in the tough neighborhoods of New York’s lower East Side, and started his career in vaudeville and Broadway musicals. An electrifying performer, Cagney blazed across the screen in a series of landmark crime stories torn from the bleak headlines of Prohibition-era America. Equally adept at screwball comedy and wartime drama, he won a Best Actor Oscar for his beloved performance as George M. Cohan. <– James Cagney: Top Of The World, Ma! is also a documentary paying tribute to one of the greatest stars from Hollywood’s Studio Era. 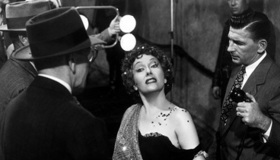 Also on tap is a special screening of Sunset Boulevard (1950) on 02/16. The Glasgow Film Festival is proud to host the European premiere of its sumptuous 4K restoration from Paramount Pictures. The Out of the Past cinema program also includes a silent era early Technicolor gem starring Douglas Fairbanks called The Black Pirate (1926) on 02/24. This two-week festival in the heart of Scotland sounds like a real treat! This entry was posted on Wednesday, February 13th, 2013 at 12:04 am	and is filed under Blog by Manny Pacheco. You can follow any comments to this post through the RSS 2.0 feed. Responses are currently closed, but you can trackback from your own site.